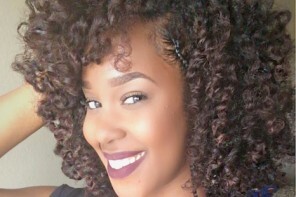 You may not know this but crochet twists are one of the most popular protective styles right now. If you spend any time on social media, you’ve probably seen many women (young and mature) wearing this style. Why? Because crochet twists look just like senegalese or rope twists but you no longer have to sit for 6 or 7 hours to get them installed! Plus, this style puts less tension on your natural hair than individually installed twists or braids. You see why I’m such a fan of this style? 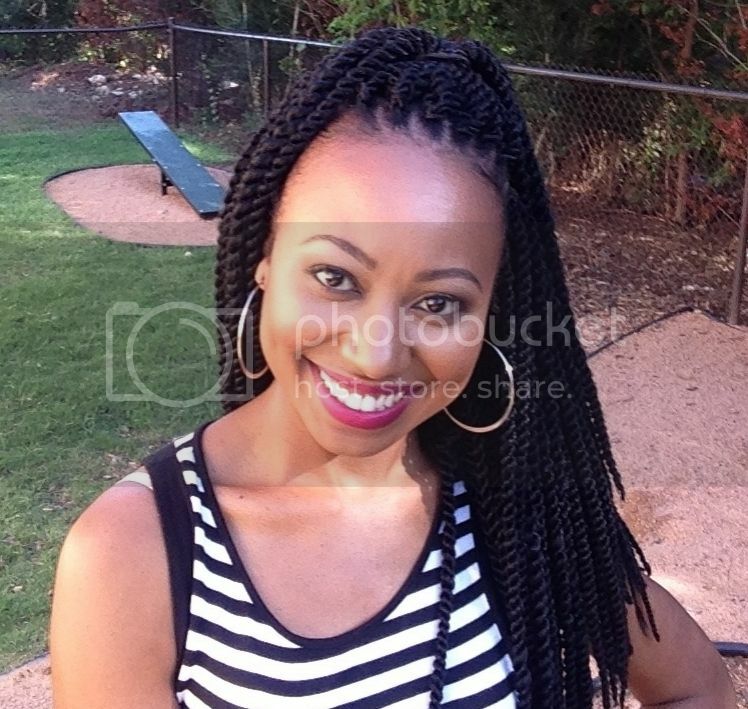 In this article I’m going to give my review of X-Pression Senegalese Twist Hair. 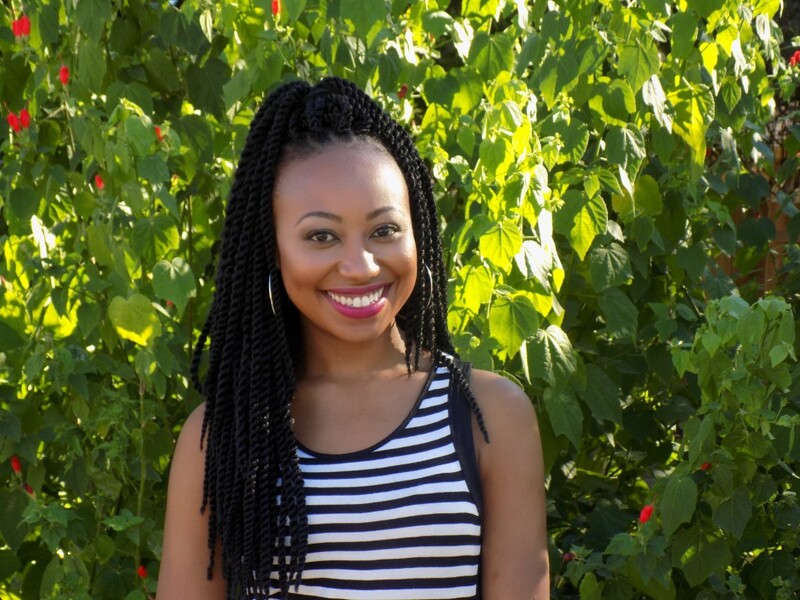 I was so excited when Outre,original creators of the X-Pression braiding hair brand, provided me with their new X-Pression Senegalese Twist hair for a review. The hair currently comes in: two lengths, 18” and 24”, two sizes (small and large) and about 15 colors. The small twists are more like “mini twists” and the large twists aren’t really large, but actually medium sized. Now, to be completely transparent, I love to see people rocking bold colors and inches for days, but I’m actually pretty conservative in real life, LOL! For my installation I used 7 packs of the Xpression Crochet Large Twists in 18” length because I am not used to rocking super long hair. I have been admiring crochet braids for a long time, but this was actually my first time having them installed on my hair so for the purpose of this review I asked a licensed hairstylist , Aubrey May, (known as @LuvUrMane_, Houston, TX Hairstylist) to install them for me. Voila, installation complete! 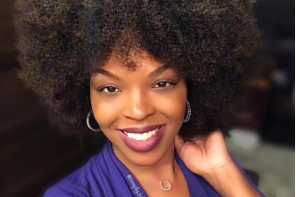 Aubrey says that it typically takes anywhere fro 1.5-2 hours to install crochet twists, however it took us a little longer than that this time, since she had never worked with this hair before. Not to mention the fact that we talked the whole time and I asked a BILLION questions! It’s been 3 weeks since the install and I have to say, I’m really glad I gave it a try! I have received a LOT of compliments on my hair and it’s great to not have to worry about styling my hair every day. One common question I get asked is if they are heavy. To be completely honest, I think it depends on what you are used to. For me, the twists themselves feel really lightweight, however when I pull them up in a ponytail on top of my head, they are obviously heavier. My neck doesn’t hurt or anything but I notice the weight. The fewer bags of hair you use, the lighter it will feel too. The hair itself looks great. It has a nice luster to it, but isn’t “shiny.” One of the things I love about it is that it doesn’t frizz up easily. The only thing that you will notice is that the areas that you play in or touch more often may have a few frizzes but I just take small scissors and cut off the fly-aways. Now, let me tell you my FAVORITE thing about this style. A few days ago I decided to untwist all of my twists. I have always wanted to have big curly hair and I thought this would be the perfect chance. It probably took me an 30 minutes to an hour while watching TV. As you can see below, I LOVE the look. I can’t decide which is my favorite- the twists or the untwists! It’s wonderful to be able to get 2 looks out of this style! Untwisting the hair is perfect for when your hair gets a little older because it’s easy to hide the roots of your hair that have begun to grow out. One thing that I learned was that the 18” hair is SUPER long— longer than I expected. However, it’s not quite long enough to wear all of your hair in a bun without having to work really hard. If you know you’re going to want to wear a top knot or half-up and half down, then I recommend you going with the 24”. And, if you’re bold enough I recommend mixing colors or wearing a BOLD single color (I vote for Burgundy)! Because the hair is long and the twists are big you definitely want to sleep in a JUMBO or LARGE bonnet. I recommend using a scarf to lay you edges down and then sleeping with a bonnet on top. Surprisingly, the hair itself didn’t make my scalp itch at all, which was great. 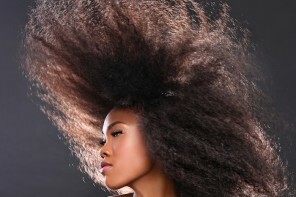 If you do tend to have problems with synthetic hair then you should check out a previous article on how to treat that. If your hair begins to itch then you can use Sea Breeze Astringent to dab your scalp and soothe it. 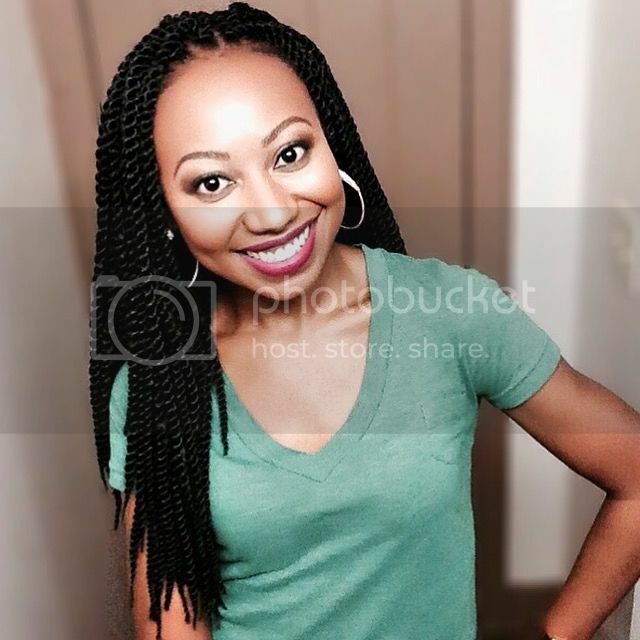 All in all, I loved this hairstyle and I would definitely use the Xpressions Senegalese Twists hair again. 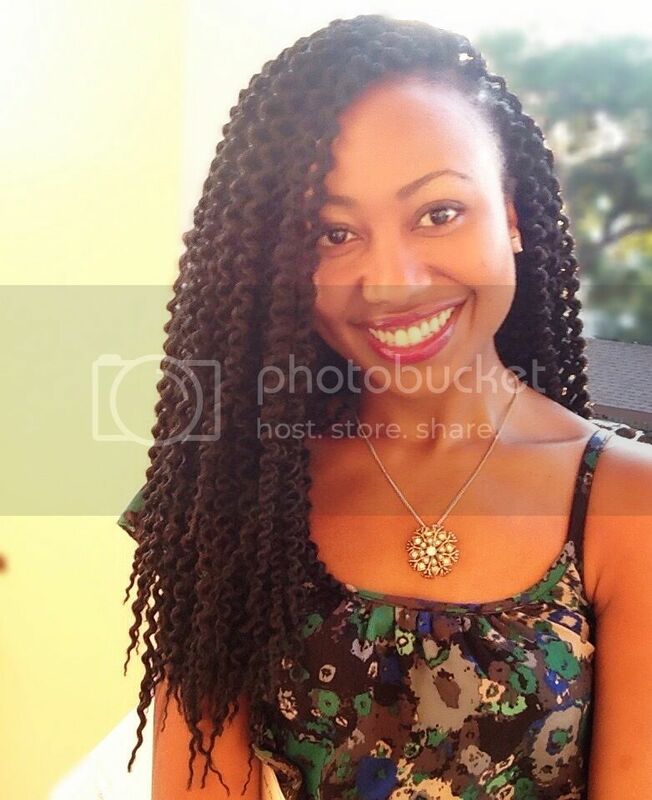 Next time, I would use the Large Twists but in 24” length and try a mix of colors. This style is fast to install, easy to maintain and versatile. 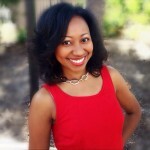 You can find the hair in your local beauty supply and some online retailers such as HairSisters.com . This was very helpful ? How long did it last after you untwisting it? What was your nighttime routine for the untwisting hair? Did you retwist it at night? I was able to wear it for about another week. I could have stretched it longer– maybe 2 weeks but my scalp was itchy and I was ready to remove them. Next articleAmazing Curls With Flexi Rods!